It’s a trend that is huge among photographers. 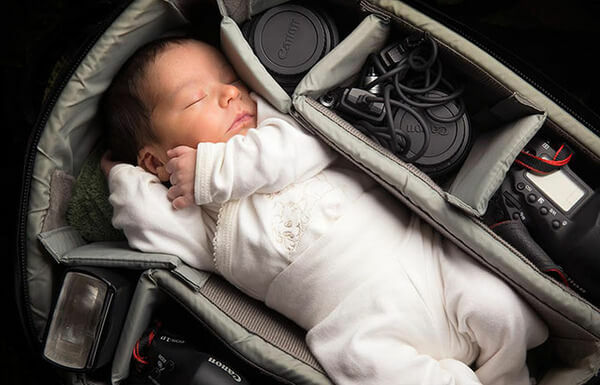 Several shutterbugs have placed their newborn babies in camera bags and shared pictures of their little ones with social media fans. 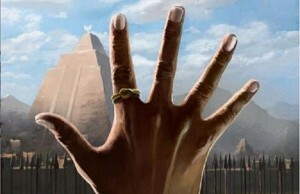 Allesandro De Bella revived the movement a few months ago when his son was born. 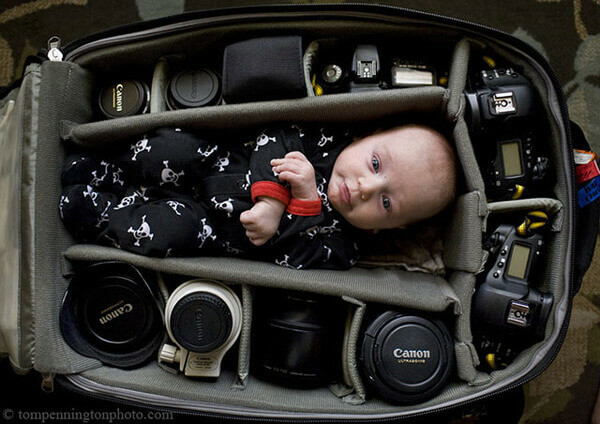 The artist thought it a good idea to capture his precious little one alongside his most treasured material possessions, being his work gear, as the newborn rested. 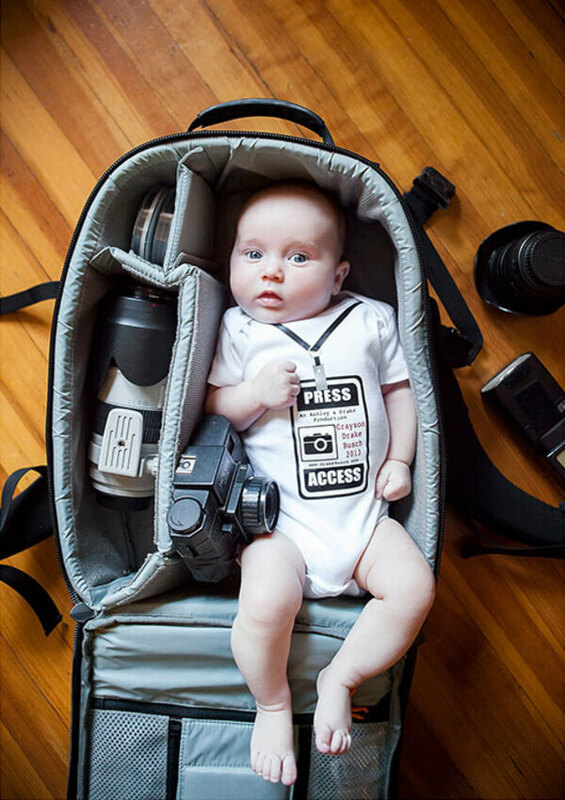 While many thought the trend was new, dozens remembered photojournalist Tom Pennington who did the same thing when his little one was born several years ago. The only difference was that Tom’s newborn was awake when the picture was taken. 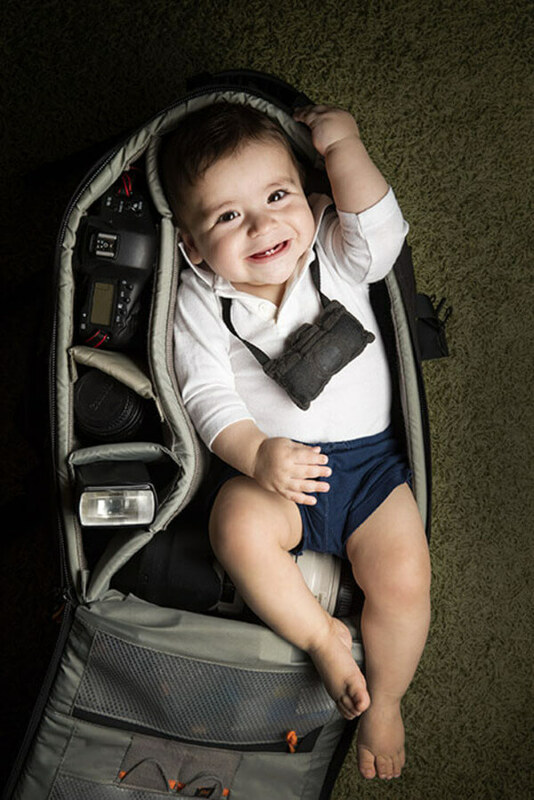 Drake Busch must have known about Tom because he sought another way to feature his son in a camera bag in 2013. 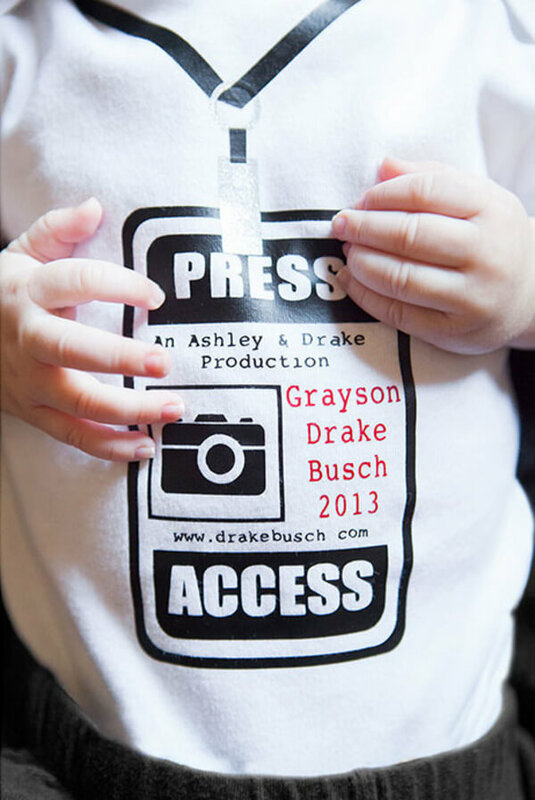 Instead of simply capturing a picture of his little one, Drake had baby Grayson wearing a shirt that featured a picture of an all access press pass. 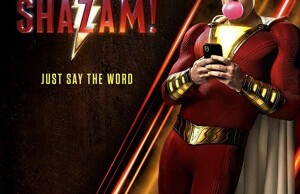 Now how cute is that?